HWMonitor is a hardware monitoring program that reads PC systems main health sensors: voltages, temperatures, fans speed. 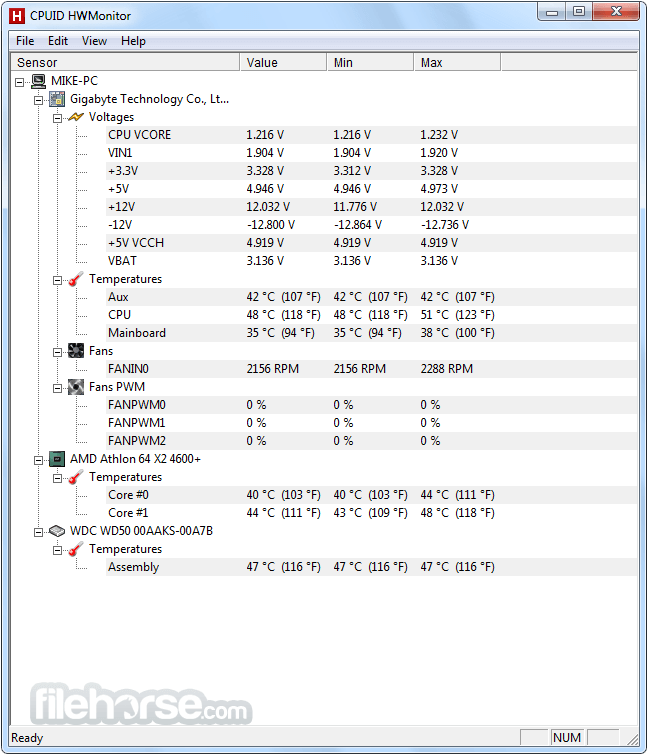 Amazing Benchmarking Software for PC! Special hardware monitors such as abit® uGuru and Gigabyte® ODIN™ power supplies serie are supported too. HWMonitor is Awesome!